Recently we bought a new bread baking machine. The kind of device that you program in the evening so that it makes your bread during the night while you sleep. But our new Wilfa BM-25s had one huge design flaw. To indicate the point where you can add extra ingredients in the baking cycle the Wilfa engineers found it appropriate to use a screaming loud beeper. Beeping 20 times or something. Even when placing the machine far away from where we sleep it woke us up during the night. And, it’s not possible to turn it off. So I decided the Wilfa needed some circuit bending. Yeah, voiding the warranty. Fortunately it was very easy to open. And I could see the beeper right away. I did some tests and ended up using a 1.8 kohm resistor to decrease the audio level. Making the machine going from screaming loud to a subtle beep. The only thing you have to do is to locate the beeper, use a soldering iron to remove it and place the resistor on one of the pins. Using a resistance to lower audio from Eirik Solheim on Vimeo. The video simply shows the result. I short cut the resistor with a pair of pliers to show the original audio and remove it to show the very subtle and low audio after the resistor was added. You can use the same method on most annoying toys and devices. Cool! I wonder what the Wilfa people where thinking of when they added that “yes please wake me up in the middle of the night-functionality”. Superfail. Thank you for the excellent work description, I was just going to modify my two BM-25s! This saves me the hassle of experimenting. Cool! The 1,8 kohm resistance takes the audio down to a VERY low level. I didn’t have anything less, but if I had I would have tried 1 kohm or maybe 500 ohm to keep slightly more audio for click feedback etc. You know, a piece of thick duct tape / gaffa tape over the opening in the cabinet where the buzzer is located will usually muffle the sound very well. And avoid voiding your warranty. Yes. That’s a good solution for some devices. Have done that on quite a bit of very annoying toys… But this one was difficult to muffle with tape. Too loud, and audio coming out everywhere. Thanks for the info – definitely a project I’m going for asap – the beeping drives me mad and scares the heck out of the kids at night. Why they couldn’t have left out the beeping when you use the delay is beyond me – NO ONE wants to get up at 3 am to see if the dough has risen enough or at 4 am to check if the bread has baked enough. Can’t say that Wilfa’s engineers listen to their customers… Before buying this device I read about the annoying beeper all around the interwebz. We still bought it because I knew that I could fix the beeper. But why? Why haven’t they fixed this themselves? Nice to know you still have the skills for this kind of work. I am a proud owner of a soldering iron, but I always end up just with the thought and not any action. Inspiring! Most of our appliances does this. 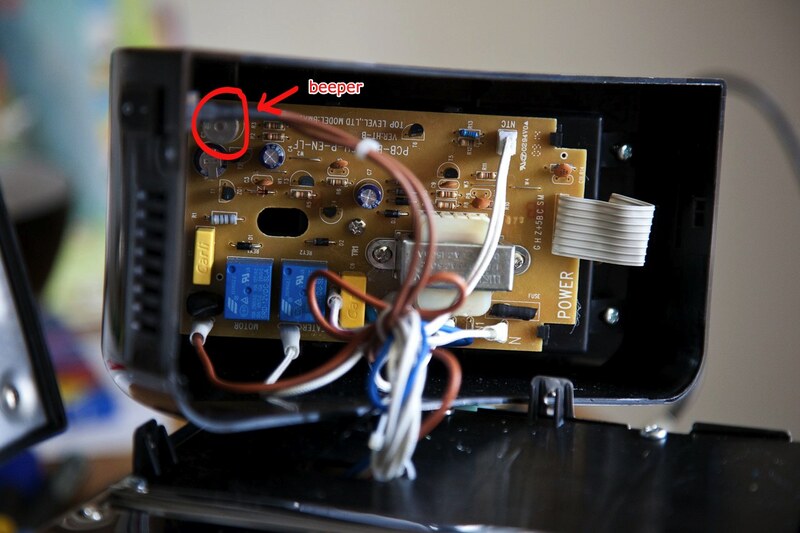 Luckily they don’t wake us up, but…Why put a beeper on a dishwasher? You can HEAR that it is not running, and you don’t wait impatiently to take the dishes out because it IS SO MUCH FUN! You do it when you can’t see the kitchen counter anymore…THAT’s WHEN! Thanks, Eirik! Reading your heading first (duh, obviously), I thought this looked relevant for fighting the beeping monster we’ve got at home. Reading further down and realizing you’ve got the same model we have, I decided to RSS you 🙂 thanks again, I’ll open it up and debeep it asap. BTW I heard you talk to the BankID-partners this week, very enjoyable and a clear message regarding businesses and social networking. I never will understand people that put such stupid devices in things… Great job on removing it. Love the post. It’s called a (linear) resistor (motstand eller resistor på norsk), not a resistance.. You measure resistance in Ohms yes, but when you’re talking about the physical component it’s called a resistor. Thank you very much. I’ve fixed it now. I removed the beeper from the circuit card right before I read this blog, and it works without a sound. NICE! Im looking forward to a whole night sleep. I have the same machine and had the same problem. To avoid soldering (risk of messing op things) I injected a soft glue through the little hole on the top of the beeper. Gave it a nice, muted beep, and has worked like a charm for two years. It really is something, it seems as though designers go out of there way to develop items with the most annoying sounds. If it is a warning for something does it really have to be the most over top sound are we not smart enough in the general public to get a message without having our ears ripped off? Is it possible to remove the whole beeper? Just cut it off to get absolute silence? Will the machine dysfunction? I have the exact machine. I’m pretty sure you can just remove it… such works in most devices that I’ve encountered. 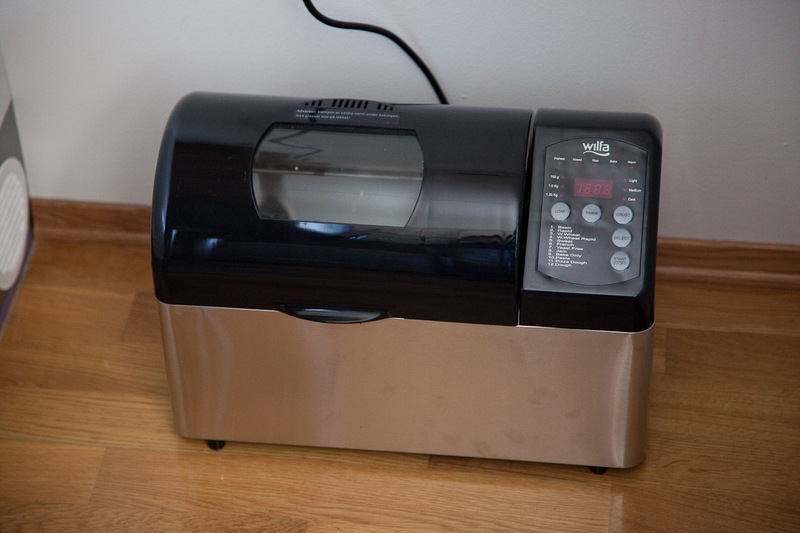 You just inspired me to take apart our bread maker to kill the crazy beeping that wakes us up in exchange for fresh bread. 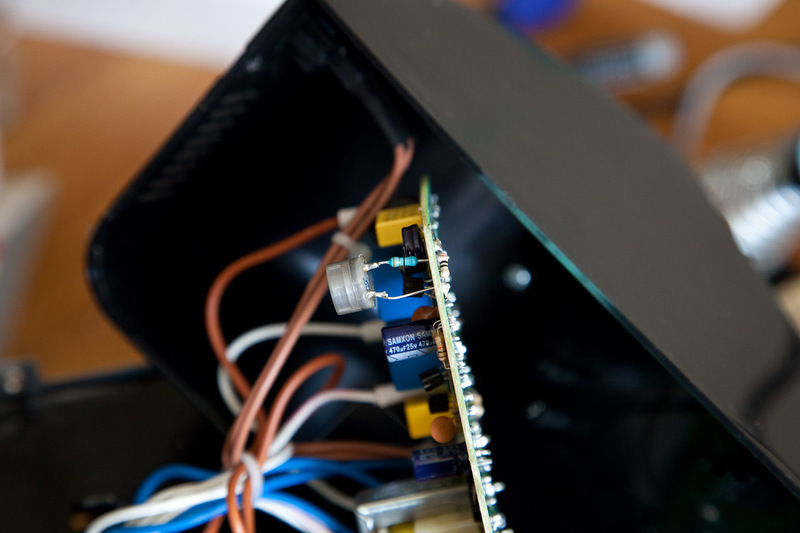 I’d never done that kind of thing before, but just was careful, took it all apart, figured out which one the speaker was on the board, and just pulled it off with pliers… thing still works great and no beeps!!! Thanks a ton! It was a bit finicky in parts but man was that satisfying!